Pemberwick is a neighborhood in Greenwich, Connecticut. At the time of the 2010 census, Pemberwick had a population of 3,680. Pemberwick is one of several villages in Greenwich some of which are: Banksville, Byram, Cos Cob, Old Greenwich, Riverside, and Glenville. Pemberwick is in the 06831 zip code. Pemberwick is on the west side of Greenwich. The southern edge of Pemberwick is formed by US Route 1 (Putnam Avenue). The Byram river flows through the village north to south. Pemberwick runs from just west of the western side of Weaver Street straight down to the Byram River and then to the New York border. Pemberwick road is the main street in the village. Glenville is close by and is the most easily accessible shopping area for residents of Pemberwick. 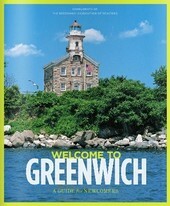 Downtown Greenwich is just 2 miles away. Greenwich is in Fairfield County, Connecticut. This beautiful area of Connecticut, lovingly referred to as the “Gateway to New England”, experienced a metamorphosis in the twentieth century when it transformed itself from a rural farming and fishing community to a sophisticated suburban area. With a population of roughly 61,171 residents, Greenwich is home to businessman and their families seeking a peaceful life in a rural setting. Greenwich is a bedroom community for New Yorkers. Greenwich has a total area of 67 square miles with almost 48 square miles being land and a little more than 19 square miles than water. Pemberwick allows residents to enjoy the lifestyle of Greenwich without having to pay “mega-mansion prices.” Homes in Pemberwick come in a wide variety of sizes and architectural styles to appeal to every home buyer. 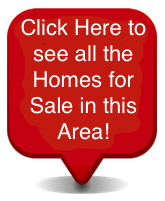 Properties in the area of Pemberwick are zoned for condominiums, multi-family, and single-family structures. There are approximately 30 condominium units in Pemberwick varying in size from 500 square feet for a studio to 1800 square feet for a 3-bedroom condo. The average listing price for a condo in Greenwich is $1,474,835. Condos start at $389,000 but can go up in price to almost $5,000,000. The average listing price for a single-family home in Greenwich is $4,210,391. Homes in Greenwich list for between $464,000 and $49,895,000 for the truly exceptional luxury mansion with every conceivable amenity. Contact us today to answer any questions or to schedule an appointment to see any of our amazing properties for sale in the neighborhood of Pemberwick, Greenwich, Connecticut or any neighboring village.